A recent article in TheStreet.com looked into a serious problem with FINRA arbitration panels – namely, that arbitrators often fail to disclose when they have a conflict of interest. Who did they interview about the issues? None other than our firm founder, Richard S. Frankowski. And with good reason: while FINRA arbitrations are often the only way that investors can recoup their losses after an act of fraud or negligence by a broker or brokerage firm, very few attorneys throughout the country are familiar with them. 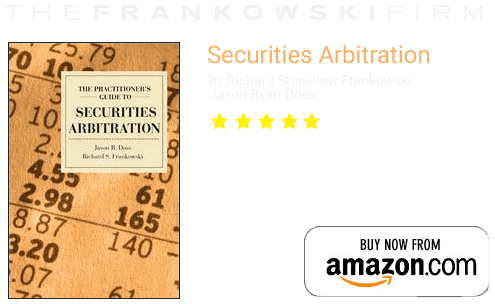 Mr. Frankowski, however, specializes in FINRA arbitrations. The article details one of our cases in which an investorlost $4 million because of flawed investment strategies by Morgan-Keegan, a Memphis-based brokerage. Our client was awarded $.07 per dollar he lost by a panel of three arbitrators – one of whom “had disclosed that he was a non-partner ‘of counsel’ to Atlanta-based law firm FordHarrison since 2001, [but] had failed to mention that defendant Morgan Keegan did business with his firm. 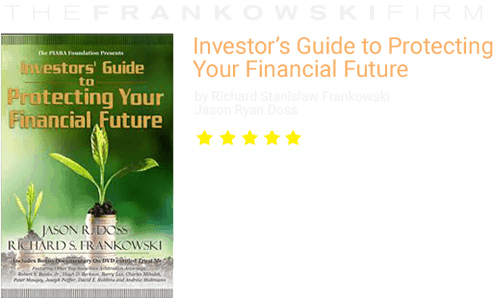 Morgan Keegan is now a unit of Raymond James Financial (RJF)” (emphasis added). Potential FINRA arbitrators failing to disclose pertinent information about their backgrounds or potential connections to case has become a serious issue. So much so that attorneys now have to personally perform additional background searches to discover if potential arbitrators have neglected to disclose important information. Investors may wonder why this practice occurs. It is at least partially rooted in who may be chosen as an arbitrator. Arbitrators fall into one of two categories: public or non-public. Non-public arbitrators “have a more extensive securities industry background,” according to FINRA. They are often brokers, financial advisors, attorneys, accountants, bank employees or other professionals with a wide-ranging securities background. At most, one arbitrator on a FINRA will be a non-public, or industry, arbitrator. And while you want a person familiar with securities to be involved, industry arbitrators are often biased in favor of brokers and brokerages firms. Thus, they may be less likely to agree with an investor’s claim. At The Frankowski Firm, we understand the stakes our clients face before we go in. When we believe justice has not been served, we don’t give up: we keep fighting to uphold our clients’ rights. We hope TheStreet.com, and sources like it, will continue to publish articles and information that can help investors protect themselves, but when the time comes for an experienced FINRA arbitration attorney, Richard S. Frankowski is ready to help. The Frankowski Firm is proud to represent clients throughout the country in FINRA arbitration. To learn more about our services, or to speak with an experienced stockbroker fraud attorney, please call 888.390.0036, or fill out our contact form.